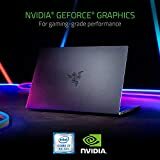 The Razer blade Stealth 13” laptop is equipped with a more powerful 25W NVIDIA GeForce MX150 4GB Graphics for gaming and content creation. Featuring a visually stunning display, and Razer Chroma keyboard, It combines mobility and style with power that's perfect for work and play. 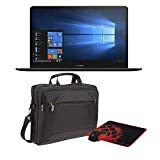 Performance for work and gaming - NVIDIA GeForce MX150 (25W) 4GB VRAM Graphics, quad-core 8th Gen Intel Core i7 -8565U Processor, and 16GB dual-channel Memory. Designed for mobility - Ultra thin, light and incredibly durable with a CNC anybody aluminum frame and long battery life. 4K thin bezel touch Display - visually stunning 4K touch Display with 100% Adobe RGB color space for content creation, entertainment and productivity. 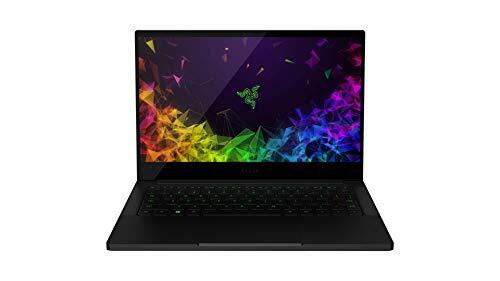 Razer Chroma keyboard and precision touchpad - Keyboard featuring single-zone RGB lighting with 16.8 million color options, and a precision glass touchpad.